Until now we have shown lots of different families and their different combat styles, but this time, we will focus on the other main element our game will have, levels. Vikings were our first family and that is why we focused also on their own stage first, the drakkars level, but now we will show you the progress of the new one, the TRAIN LEVEL. This level will be linked to the cowboy family and it will take place in a couple of crazy trains that will constantly change. The main factor about this level comes from the fact that we will build a variety of trains that will randomly appear every battle. 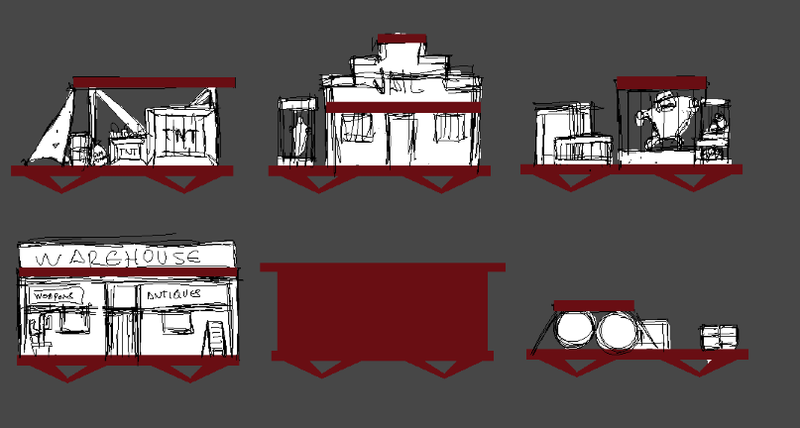 We designed two train types the big wagons for the train in the back and the smaller wagons that will appear in front. 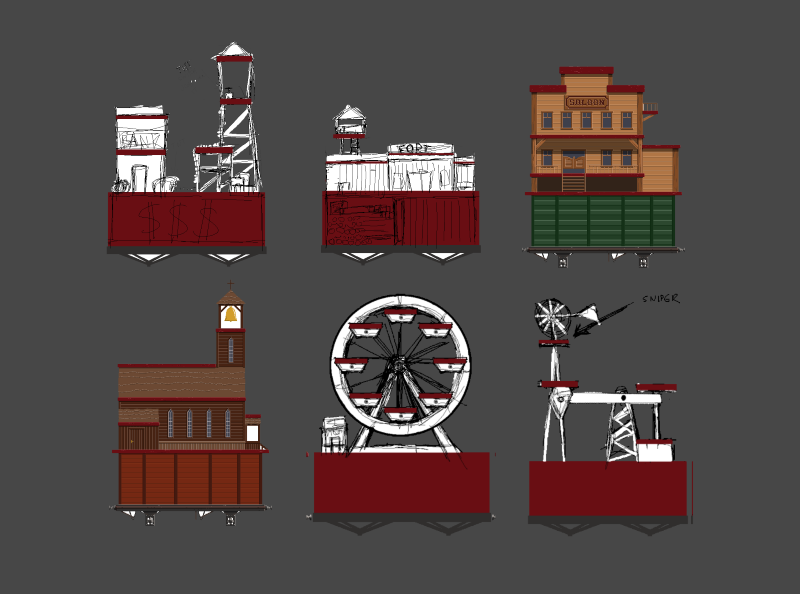 The train in the back will give the stage a greater verticality compared to the previous viking level and it will also add a continuous straight battleground on the lower part of these wagons.